We all know we live in area that’s all about its sports—especially this time of year. And you probably know that the Greater Raleigh Sports Alliance (GRSA) is the sports marketing arm of the Greater Raleigh CVB. 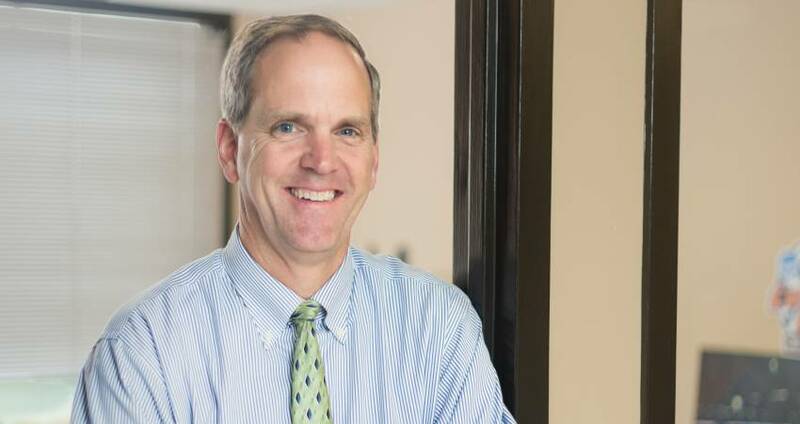 But here are few things you may not know about sporting events in the Raleigh area, from GRSA executive director Scott Dupree. This year marks the 20th anniversary of sports event marketing (now under the umbrella of GRSA) in Wake County. What were those first few years like, and how have sports events in the county changed since then? It was all so new and different back then. The CVB Board of Directors decided that we should have someone on staff devoted specifically to the sports market. That turned out to be me. At the start, I was a one-person department. Tori Collins was added to the staff after one year. We were just dipping our toes into the water of sports tourism and the sports event industry. But those were also the very early days of the industry in general. Now, fast forward 20 years, and we have a staff of five devoted exclusively to sports. 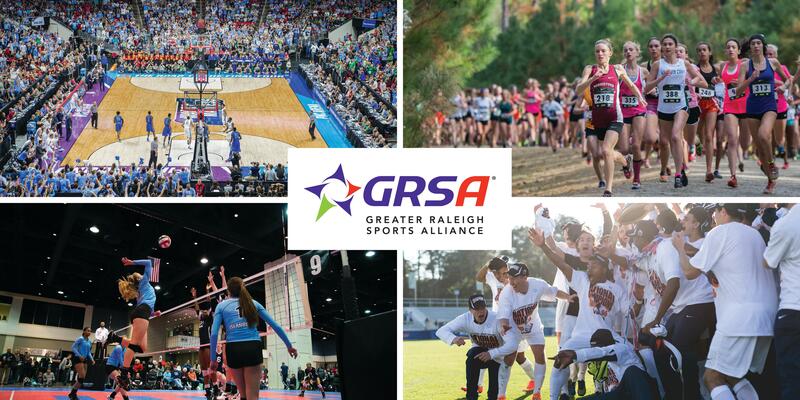 We have re-branded from being simply a sports department within the CVB into the Greater Raleigh Sports Alliance, and the sports event industry has exploded nationally. It’s crazy competitive. Pretty much every city is chasing sporting events. There are literally thousands of events available for bid (largely due to the explosion of girls&apos; sports over the last 20 years), and there is basically an arms race taking place in terms of facility and venue development. It’s an entirely different world than it was 20 years ago. I guess it was nice to receive the recognition, although I thought it was a bit much. But, more importantly, I was pleased with the way the coverage shined a light on the GRSA and all of the good work we did in 2017 and for many years prior as well. So, from that perspective, I was very pleased with the spotlight that shined on our industry in general and GRSA in particular. It was well-deserved. I’ve always said that I have the best staff in America, and this recognition helped bring attention to all that our staff does for our community. What events that you have worked to bring to Wake County are you most proud of and why? Oh, boy, that’s a tough question. The GRSA touches about 70 to 100 events per year in one way or another, whether it’s bidding for, servicing or helping to host and manage. With that said, I’ll mention a couple that stand out. We worked diligently to support the Carolina Hurricanes and other partners to bring the NHL All-Star Weekend in Raleigh in 2011. It was a major undertaking by a lot of great people and partners, but in the end, as you may remember, it was a smashing, unquestioned success. A lot of veteran hockey folks and media members didn’t hesitate to call it the best All-Star Weekend in league history. That was quite a statement for a destination like Raleigh, N.C., a relative newcomer to the NHL and a site selection that was initially met with a lot of skepticism by some traditionalists in the hockey world. But we rolled out the red carpet and pulled it off incredibly well. Fun to be part of such an amazing, citywide team effort. Each event in Raleigh has been a tremendous success, with large crowds, thrilling games and just a lot of happy people in general, who travel here from all over America to experience March Madness. We are hosting again in 2021 and are already looking forward to it. This is an easy one. Greater Raleigh is a superb sports market, and there are lots of factors that make it so successful. Partnerships. That’s why we have the word “Alliance” in our name. Our greatest strength is the teamwork, the partnerships, that have been established here among all of the sports entities—venues, facilities, colleges, franchises, parks and rec departments etc. We work well together, we find solutions collectively, and we make things happen in a positive way. Venues. For a sports event planner or owner, it’s all about the facility. They want to put their athletes and their fans in the best possible venue. We are fortunate to have a number of world-class sports venues that can compete with anyone. A sampling includes PNC Arena, WakeMed Soccer Park, the USA Baseball National Training Complex, WRAL Soccer Park, Cary Tennis Park and more. Hotels. We are in great shape in this category, as it relates to sports. We have quantity, quality and convenience, and we have it in abundance. Other strengths that benefit Greater Raleigh include a central location on the East Coast, mild weather, a great international airport in RDU and our long track record of successfully hosting major events in this market. It makes for a pretty impressive resume. If you were dreaming, and money was no issue, what do you wish we had that we don’t? This market needs a small, multipurpose special events center that seats between 3,000 and 5,000. It could be configured like a small arena and host all kinds of events—basketball, volleyball, wrestling, martial arts and more. Or the lower-bowl seating could be pushed back and then the venue could convert into maybe eight basketball or volleyball courts on the floor, for large youth events that don’t require much spectator seating. The facility would be flexible and multi-purpose, and it would be in heavy demand! What would you want our hospitality partners to understand about the value of sports events in Wake County? Sports tourism is a critical component of economic impact within the Wake County hospitality sector. Even though the high-profile events tend to get all of the attention and media coverage, we have youth and amateur sports in this market that are taking place pretty much 52 weekends of the year. Those events are the backbone of the industry. There is a non-stop stream of youth soccer, basketball, tennis, swimming, baseball, softball, cross-country, cheerleading, lacrosse and so much more. These events are filling our hotels (mostly on weekends) and our restaurants and retail stores year-round. Bottom line, sports tourism is big business in Greater Raleigh. And the best part… it touches every region of the county, reaching hotels and restaurants from Apex to Zebulon, from Wendell to Wake Forest.